Pianist/composer Arshak Sirunyan last offered up a startlingly good multi-media, cross-genre collection with Hoodman’s Blind(Self-produced, 2014). That recording found the Armenian born musician tackling the complexities of translating a medieval contest of strategy to an engaging musical concept. The success of that album hinged—in no small part—on Sirunyan’s ability to blend disparate elements of chamber, folk, rock and jazz into a consistent hybrid style of his own. 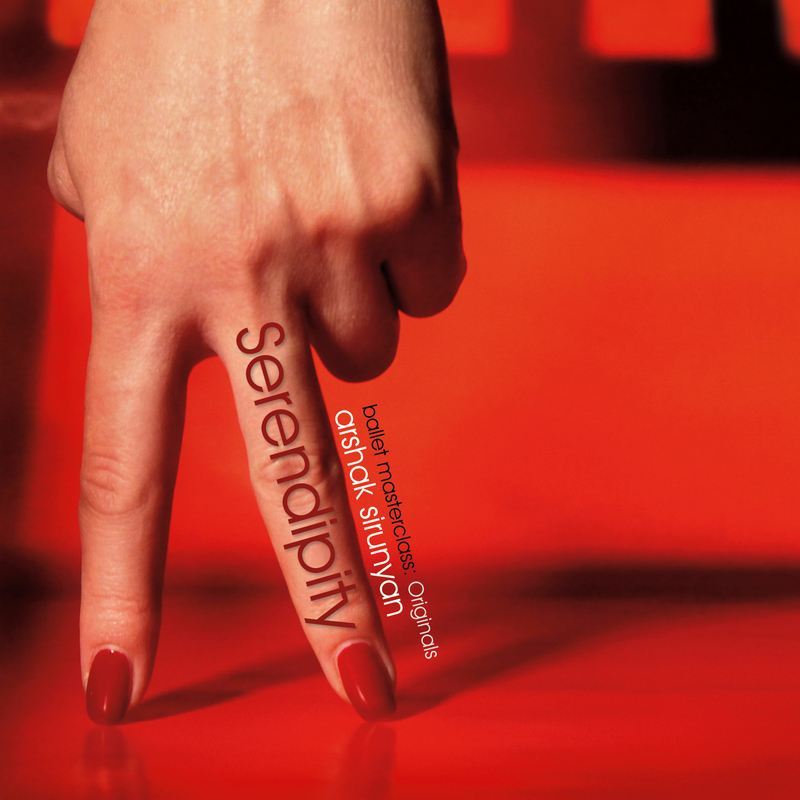 More aspiring, and completely different, is Serendipity, a stunning work of modern avant-garde music. A resident of the Washington DC area, Sirunyan, is a past winner of an Armenian Bach Concerto Competition and the long-time senior accompanist at Maryland Youth Ballet. In that capacity, he set out to score music for the accompaniment of ballet classes but with intent of deviating from the tradition of piano-only complement. Sirunyan’s modernized approach, while capitalizing of his considerable skill as a pianist, also incorporates cello and orchestral strings. His strong classical background and more than a dozen years working with dancers provided him with the deep understanding and stimulus to take on this ambitious project. Serendipity consists of twenty-seven compositions with Sirunyan’s piano most often at the forefront and occasionally soloing. While Sirunyan touches on leaner, more experimental aspects of the music, he chooses to open the CD with the rich romanticism and haunting melody of “Plié (Epoch).” His piano, augmented by the string orchestra is a perfectly balanced stage-setter for the pensive drama of “Tendu (Crying Tree),” a piano/cello duet. The same formation plays through the “Tendu” series of ‘Phantasm,’ ‘Unfinished Seduction’ and ‘Laughing Nightmare’ with each piece further building in pace and tension. What he had established on his previous recording, Sirunyan confirms without doubt onSerendipity: he is an exceptional storyteller. “Tango (6th Floor)” imagines an institutionalized and isolated mute who finds her eventual release in a table-top tango, filled with craving and fire. On a broader scale, Sirunyan raises the topic of the one-hundred year old (and still under-recognized) atrocity of the Armenian genocide; the lack of closure is palpable in the sadly beautiful composition. Elsewhere, Sirunyan draws inspiration from more immediately personal sources such as his family on “Center Tendu (Tiny Heartbeats)” and “Reverence (Anna).” In one case he reinvents a previously recorded composition “Stretch (To My Beloved Stranger),” from his trio album Journal (Self-produced, 2010); the original version with its pronounced percussive treatment, here is refreshed as a warmly lyrical orchestrated piece. The technical aspects of Serendipity are an achievement in and of themselves. While it will not be obvious on listening, the cello and the string orchestra are actually a result of a painstaking process of sampling, mixing and engineering as performed by Sirunyan working in tandem with a programmer. Countless hours were invested in refining every detail and nuance to successfully achieve the realistic net result. In 2014, Sirunyan was nominated for a number of independent music awards and captured first place in two categories of the 2014 International Songwriting Competition. Musical categories—being narrow as they are—will firmly place Serendipity in the classical grouping and while that is the dominant genre here, there is much more to these compositions. Sirunyan’s pieces have as much in common with the Gil Evans/Miles Davis classic Sketches of Spain (Columbia, 1960) as they do with Mendelssohn’s A Midsummer Night’s Dream. This is modern musical theater, avant-garde conception, meditations on the dance and life events; all capitalizing on Sirunyan’s unique talent for building, narrating and influencing musical relationships. In every aspect of music, Sirunyan is increasingly a force to be reckoned with and Serendipity is a magnificent success. Track Listing: Plié (Epoch); Tendu “Crying Tree”; Tendu “Phantasm”; Tendu/Degagé “Unfinished Seduction”; Tendu/Degagé “Laughing Nightmare; Degagé “Bobblehead”; Rond De Jambe “Dance of Nature”; Frappé “Chasing Shadows”; Fondu “Delicate Whisper”; Rond De Jambe en L’air “Jealous Repetition”; Tango “6th Floor”; Barre Adagio “Iridescent Sky”; Grand Battement “Forgotten Strength”; Stretch “To My Beloved Stranger”; Center Tendu “Tiny Heartbeats”; Center Adagio “1915”; Pirouette “Red Velvet Waltz”; Pirouette “Polonaise”; Pirouette “Midnight Mazurka”; Petit Allegro “62 Needles”; Petit Allegro “Arrogant Jumps”; Petit Allegro “Strange Weakness”; Men’s Jumps “March of the Sinners”; Grand Allegro “Velour Forest”; Piqué Turns (Crosswind); Fouettés (Abandoned Turned); Reverence (Anna). Personnel: Arshak Sirunyan: composer, piano; Garritan Gofriller: cello; Vienna Symphonic Library: strings.